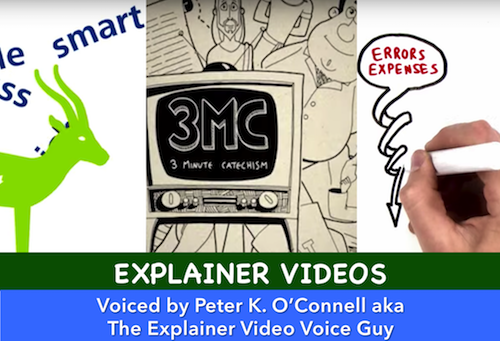 Being nicknamed “The Explainer Video Voice Guy” wasn’t something I planned…I think it’s that way with most nicknames. But once you work with clients enough and friendship develop, nicknames are born and that how I got mine. 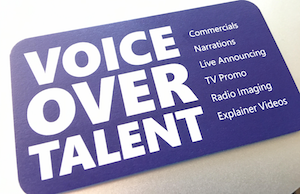 On my business cards, I list Explainer Videos as one of genres for which I provide voiceover services. 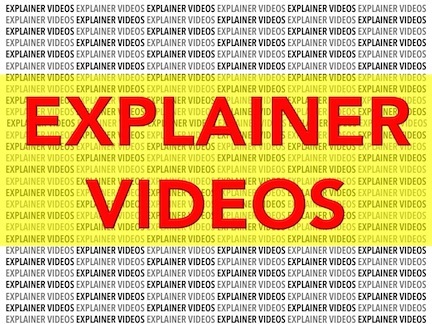 People who aren’t involved in media production ask me sometimes “what is an explainer video?” It’s a reasonable question that you might have too. Usually short (like 2-3 minutes – but sometimes longer), an Explainer Video is a fun and informative video presentation that creatively explains a product or service. Because it’s fun and informative and short, an Explainer Video captures and retains the viewers attention, making it a more useful sales tool for companies — compared to longer, dull videos or even brochures. Plus, video continues to be a preferred media for people to discover new ideas and concepts. 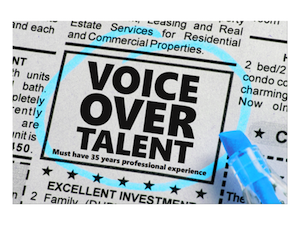 The reason I get selected so often to provide voiceovers for explainer videos, I have been told, is because I offer a variety of fun, informative and friendly reads – depending on the script and the client’s audio branding needs. Like commercials and narrations, Explainer Videos fit my vocal styles. For example, as an Audiobook narrator, I think I’m good (maybe even just OK) but certainly not great. Yet with Explainer Videos, as a voice talent I excel. I can’t draw a straight line but I can enjoyably tell you all about that straight line with a Explainer Video script in hand. At this point, it would probably be more effective (and likely more entertaining) to let the Explainer Videos do the talking. So here are some examples of my Explainer Video voiceover work. This was one of the more informative Explainer Videos I recall narrating as I felt I not only learned about the impressive depth of Deloitte Canada’s knowledge of Canada’s economy but I also understood it…and folks, I was never a Finance major in college. Really well written. I worked with a great team at Esker, a global leader in document process automation. Their talent marketing team asked me to voice a series of explainer videos that highlighted their impressive array of services in a fun and interesting way. They save a lot of smart companies a lot of time and money Here’s one example of the explainer video series I voiced for them. I’ve done videos for clients all over the world and it’s a great experience. This particular project was interesting because the producer found me on Google all the way over in Austria. 15-20 years ago, that would not have been possible but today, it happens all the time. This was an interesting project because the producers wanted to make these short 3-minute videos, explaining the Catholic religion’s Catechism, for many languages. They started in German, producing all the videos based on a German voice talents tracks, then came to me for English. Needless to say, the video timing got tricky as they switched languages. It was great nonetheless! If you’re interested in using me as the voice for your explainer video, give me a call at +01 716-572-1800.